Interested companies have come sniffing, Rovio VP franchise development Ville Heijari revealed, but a "pretty high" bar has meant no "really relevant discussions" have yet taken place. "I wouldn't say [EA] has approached us with any offer - obviously we've discussed with many different companies," Heijari informed Eurogamer. "About a year ago, in the summer of 2010, Angry Birds was already quite successful. At that point it started to look like a really, really feasible and desirable IP. So we had a lot of enquiries from many, many different parties. But we've had an overall strategic goal of growing this company and moving into different areas of business beyond games. I don't think there's ever been a really relevant discussion of whether somebody is going to buy us. "It was never a strategy here to quickly cash in on anybody who comes waving a wad of cash our way." "Of course like any business if the price is right, ha!" he exclaimed. "But we've set the bar pretty high from early on, because we really think we have a lot of opportunities with our Angry Birds IP and there's a lot of creativity at the studio beyond Angry Birds. It was never a strategy here to quickly cash in on anybody who comes waving a wad of cash our way. "But the valuation from our point of view is somewhere, I dunno, maybe north of PopCap." Heijari said such self-worth has ruffled feathers in the past. "A lot of people look at our game and say, 'Who do these guys think they are with their one title?'" But there are subtle variations on offer like Angry Birds Seasons and Angry Birds Rio. "There's a lot of different stuff going on," enthused Heijari, "we have a lot of different stuff in the pipepine." "We already have quite a big reach with this one title. We want to now leverage that reach and bring more social experiences, more delightful games to an already established audience," he said. "Not to say milk the Angry Birds titles as long as they can go, but really create sustainable characters and sustainable property and build a really massive brand out of Angry Birds." "These kind of price tags just go to show that the value is also perceived." EA and PopCap announced their deal this morning. EA now owns mobile publisher Chillingo, social gaming company PlayFish and PopCap. It's a sharp, three-pronged trident of intent. "It is an awful lot of money!" said Heijari of the $1.3 billion deal. "But then if you consider where the growth is at the moment, obviously consoles are not dying, PC gaming isn't going to disappear overnight - the growth right now, the dynamic, is in the social and mobile gaming. "[EA] have definitely taken, I wouldn't say aggressive, but quite bold steps towards gaining more foothold in new domains to them. I don't see this as either negative or positive, it's obviously a really, really strategic move from EA. "If you look at the valuation - Zynga is aiming for $1 billion IPO. PopCap already has a lot of really successful titles that are still going strong, a massive catalogue of titles [and is] probably not going to slow down in creating new games either. I dunno, if the price is right for EA, ha ha, then it must be right!" "These kind of price tags just go to show that the value is also perceived," he added. Angry Birds recently passed the 250 million downloads mark. 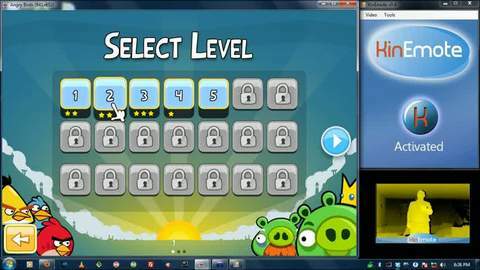 Heijari said that Angry Birds had 50 million monthly active users as of May 2011. "That was two months ago," Haijari added, "so now we have more." Rovio is based in Finland. Angry Birds can be found on a host of platforms: PC, Mac, PlayStation Minis, iOS devices, Android devices and more.